The closing of the Pathmark supermarket on 125th Street and Lexington Avenue makes it harder for the people of East Harlem to find healthy affordable food and raises important questions for the future of this community. 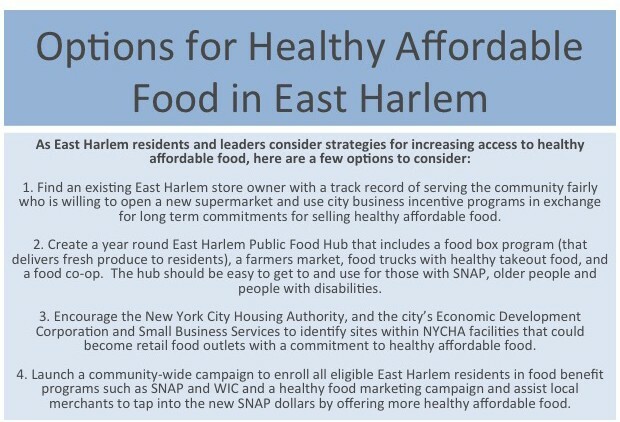 In this policy brief, the New York City Food Policy Center at Hunter College describes the background for the closing, identifies short-term concerns about its impact and invites East Harlem residents and leaders to use the closing to consider longer term goals for our community’s food system, for its health and equitable economic development. Why did Pathmark Come and Go? The Pathmark at 125th Street opened in 1997 as a result of a campaign by residents to bring more affordable and healthy food into the neighborhood. 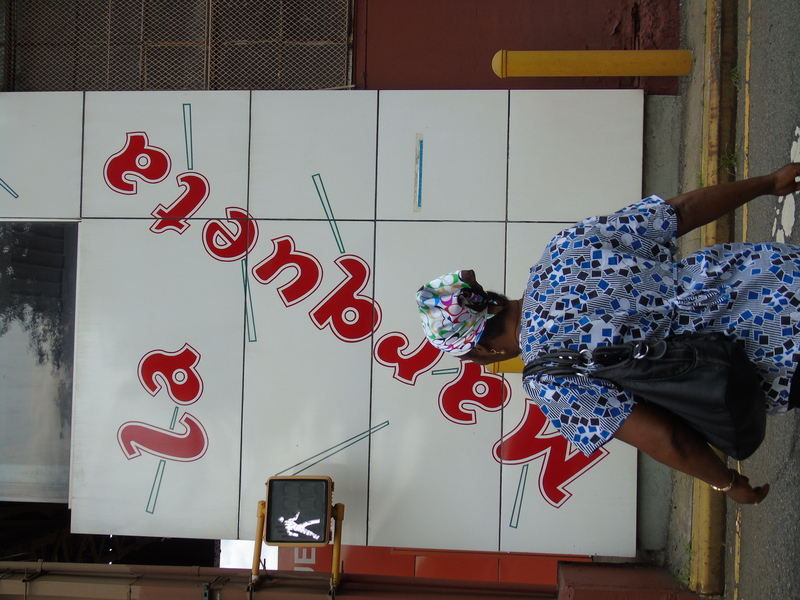 At that time, food retail in East Harlem was characterized by small supermarkets, produce and meat markets and bodegas. Community activists argued that a large supermarket selling a wide selection of products was needed to reduce limited access to healthy affordable food. This campaign led the city to sell the property at low cost –$1.5 million– to the Abyssinian Development Corporation, a community development company affiliated with the Abyssinian Baptist Church, with a provision in the deed that required the opening of Pathmark on the site and a 10 year commitment to keep the store open. Another community group, the East Harlem Triangle, was also a partner in the deal. By 1999, Pathmark reported it served 30,000 customers a week. In 2014, sales totaled $64 million. Until it closed, Pathmark employed 236 people, more workers than any other East Harlem supermarket. 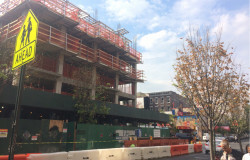 In April 2014, the Abyssinian Development Corporation sold the site for $39 million to Extell Development Corporation, a major New York City developer of luxury housing and commercial buildings. 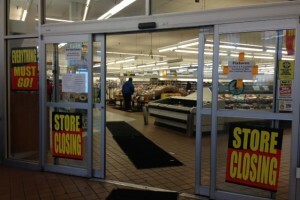 In the last year or so, A & P Supermarkets, the parent company of Pathmark, went bankrupt, forcing it to close Pathmark outlets and other food stores around the region. Extell also recently bought the unexpired lease for the Pathmark site for $21 million. While Extell officials have told the Office of the City Council Speaker that the company will consider putting a supermarket in its new building, they have made no specific commitments nor offered community residents any voice in the selection of the operator. Recently, the Associated Supermarket at 125 East 116th Street (between Lexington and Park Avenues) announced that it too was going to close soon, depriving East Harlem of yet another large supermarket. Ariel Property Advisors confirmed that Extell Development purchased the 160 E. 125th St. property, which is currently a Pathmark. 1. Loss of 236 jobs, about a quarter of all supermarket jobs in East Harlem. The loss of these unionized jobs hurts East Harlem and New York City. With poverty and unemployment rates higher than New York City rates, many families in East Harlem are still suffering from the 2008 recession and the subsequent growth of low wage jobs. Finding new jobs for these displaced workers should be a priority. 2. Loss of an important source for healthy affordable food. Although East Harlem has too many food stores to be considered a food desert, it is still hard to find healthy, affordable, good quality food. The closing of an East Harlem supermarket that had large selection of reasonably priced produce, meat and dairy products will reduce food options, particularly along the 125th street corridor and east of Fifth Avenue. Not all East Harlem residents were satisfied with the quality, price or healthfulness of Pathmark, but only a few other local stores enable people to buy large quantities of food in one place, a routine that makes it easier to have healthy food in the house and eat at home, practices associated with healthier diets. 3. Disproportionate impact on healthy food access for vulnerable populations. For many East Harlem residents, Pathmark was a convenient place to do a weekly shopping. Older people and those with disabilities will have trouble getting to more distant stores and nearby public housing residents and people using SNAP (food stamps) may have few options other than bodegas that sell mostly unhealthy food. East Harlem has among the city’s highest rates of food insecurity, obesity, diabetes and other diet-related diseases. These conditions are most prevalent among the groups that have the most trouble finding affordable food. 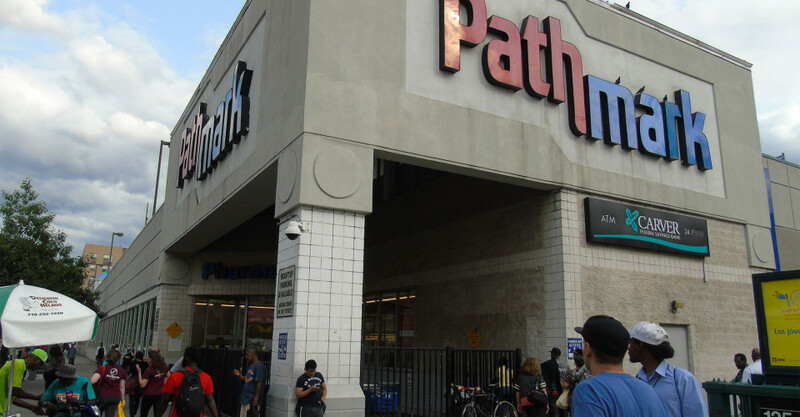 This raises the fear that the Pathmark closing could worsen the health profile of East Harlem by reducing access to healthy affordable food for vulnerable populations. 4. Making the corner of 125th Street and Lexington Avenue more dangerous. This corner is already a gathering point for distressed, addicted and ill people. With Pathmark empty, the intersection may become less safe and the people who gather there may become more isolated. 1. Continuing epidemics of food insecurity and diet related diseases. For the last decade, about two-thirds of East Harlem adults have been overweight or obese, putting them at risk of diabetes and other diet related diseases. 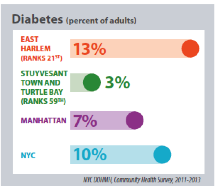 For more than 10 years, the proportion of people in East Harlem who report that they have been diagnosed with diabetes has stayed almost one and a half times higher than for New York City as a whole. East Harlem also has among the city’s highest rates of food insecurity, defined as having to worry about having enough food to maintain health and avoid hunger. 2. A proliferation of food retail outlets that offer mostly unhealthy food. Since 2000, the number of places that sell food in East Harlem has increased by more than 40%, from 294 to 418 establishments. But fast food restaurants have grown the fastest, with the number of chain fast food outlets quadrupling. The unhealthy food sold by fast food restaurants and some bodegas and convenience stores is now everywhere in East Harlem, making it easier to find cheap high sugar, fat and salt products than affordable fruits, vegetables and other healthier foods. East Harlem does have more supermarkets now than when Pathmark opened, a positive development, but unhealthy food is still cheaper and more available. As long as unhealthy food is easier to find and cheaper than healthy food, the health of East Harlem residents is at risk. 3. Increasing outside investment that threatens to displace some EH residents and put affordable housing, food and other necessities out of reach. In the last few years, banks, developers, government agencies and others have invested more than $2 billion in East Harlem. Public policies like tax breaks and credits and rezoning have also contributed to economic development. While some of this growth may offer residents more opportunities, much does not benefit East Harlem’s large low-income population. In fact, this redevelopment is what made the Pathmark site desirable for Extell. 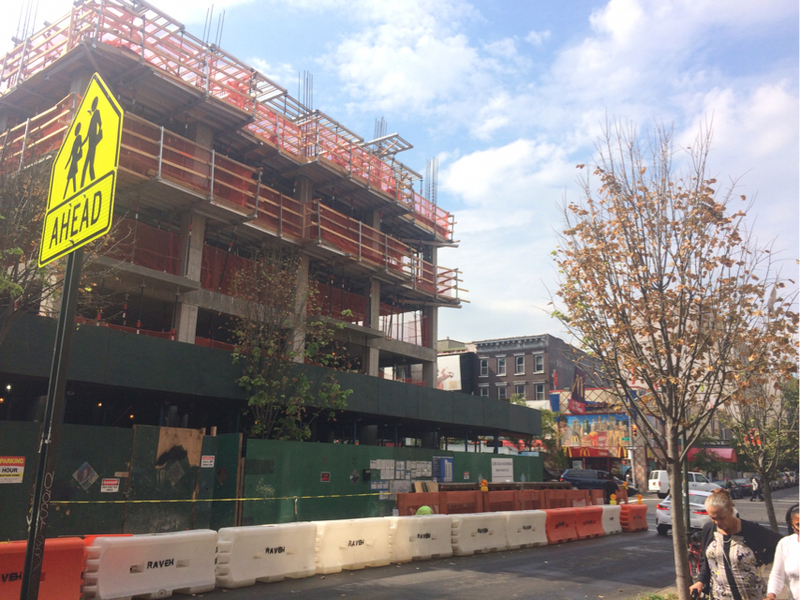 A mixed-use residential and commericla building under construction in East Harlem. 1. 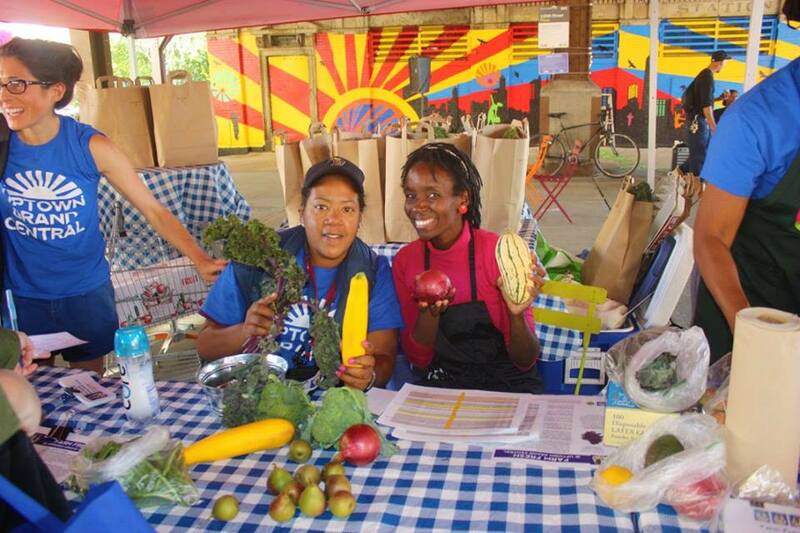 How can we make East Harlem a place where healthy affordable food is easier to find than unhealthy food? In the coming years, where will East Harlem residents find healthy affordable food? Yes, we need to consider more supermarkets that commit to selling healthy food. But supermarkets have their own problems: they too sell lots of unhealthy food and open and close without concern for the impact on the community. Thus East Harlem also needs more farmers markets, more Green Carts, more healthy food trucks, more food co-ops, more food box programs and more locally-owned stores and businesses that want to prosper by contributing to a healthier community. East Harlem, like New York City and the nation, also needs to consider ways to limit the relentless promotion and availability of soda, fast food, candy and other highly processed foods that are most associated with premature death and preventable illnesses. 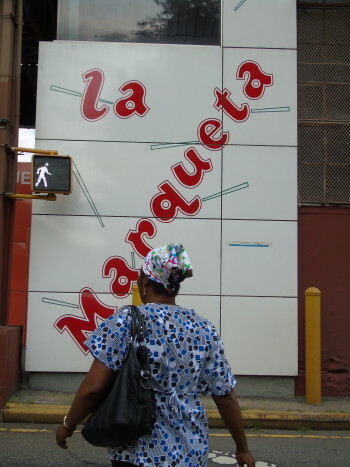 2. Who will decide East Harlem’s food future? Right now outside investors are making most of the decisions about what stores open and close in our neighborhood. Public policies on zoning, taxes and regulation also shape business decisions so we need to find new ways to make health a goal for all policies, economic development, housing, transportation and so on. The fastest growing part of our food economy –fast food – is a sector that profits by putting our health at risk. 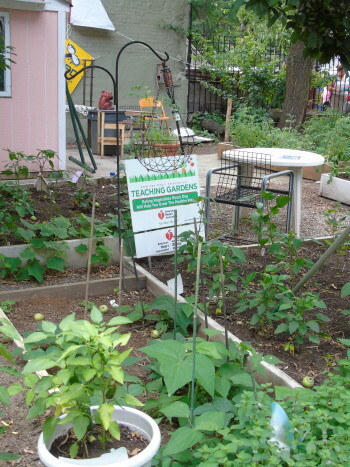 How can eaters, residents, parents and local businesses create a food system that makes health a priority? How can we use democratic processes like elections, City Council hearings, the rezoning process and meetings with our elected officials to advance our right to shape our food future? One current opportunity is the neighborhood planning process that has begun in East Harlem and other low-income communities as part of the city’s affordable housing and rezoning plan. 3. What are the obligations of developers like Extell? 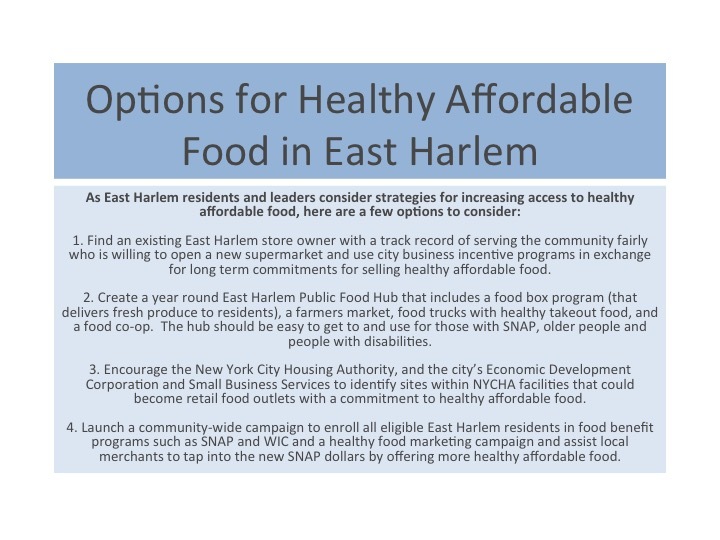 Will Extell be willing to negotiate a “good neighbor agreement” with East Harlem to ensure that it contributes to making healthy affordable food more available in East Harlem? Can the community or the City encourage other developers to commit to protecting our community’s well-being as they profit from their new developments here? What lessons can we learn from other communities that have negotiated community benefits agreements with developers? 4. 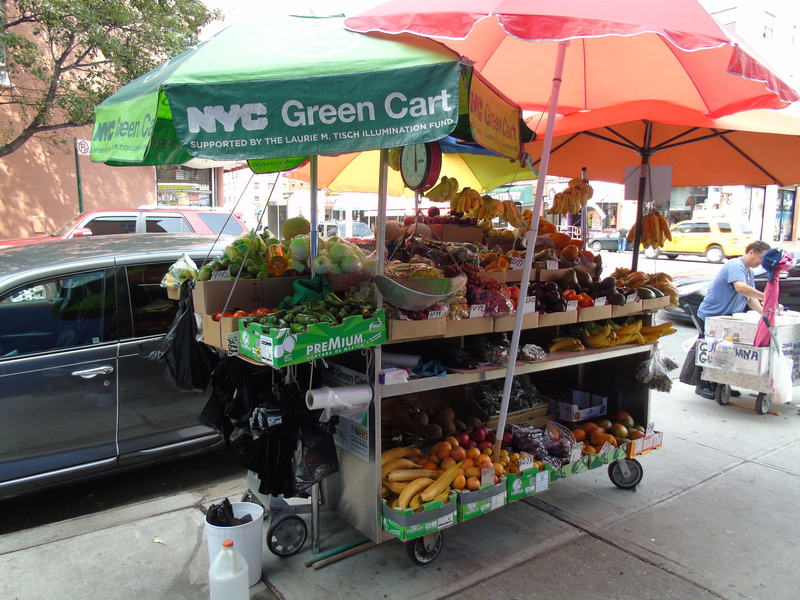 How will the current rezoning plan for East Harlem affect the availability of healthy food? 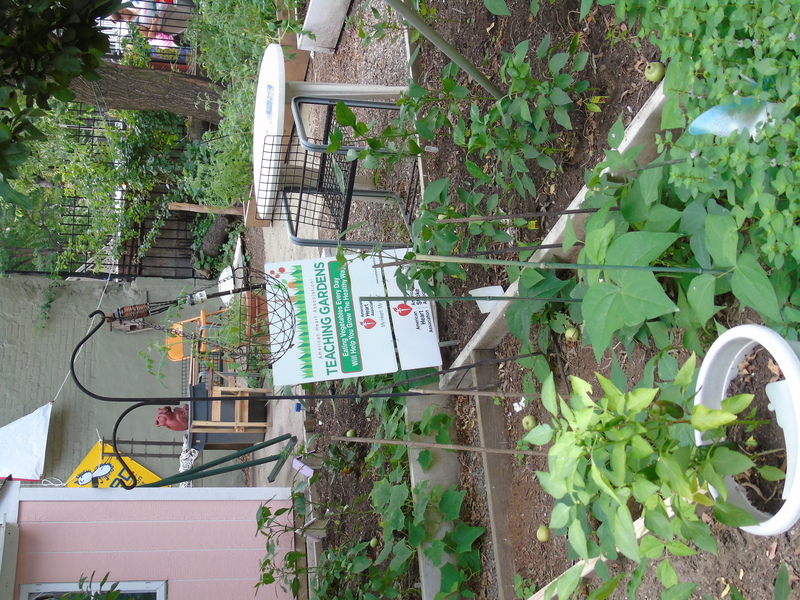 Will the creation of new affordable housing be linked to the development of new options for healthy, affordable food? 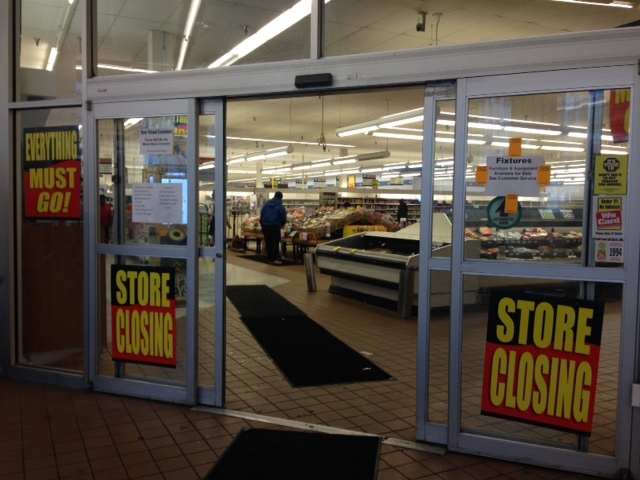 Does the closing of Pathmark mean that other developers will take action that limits the availability of healthy, affordable food? How can the increased density accompanying the rezoning plan also bring healthier, more affordable food options? The closing of Pathmark represents an important loss for East Harlem. As we consider our options for filling this gap, let’s search for solutions that will give community residents a stronger voice in shaping our food future, create a local a food system for East Harlem that will improve East Harlem’s health and reduce our disproportionate burdens of food security and diet related diseases, and create an economy that benefits all residents of East Harlem. A Green Cart selling fresh produce in East Harlem. 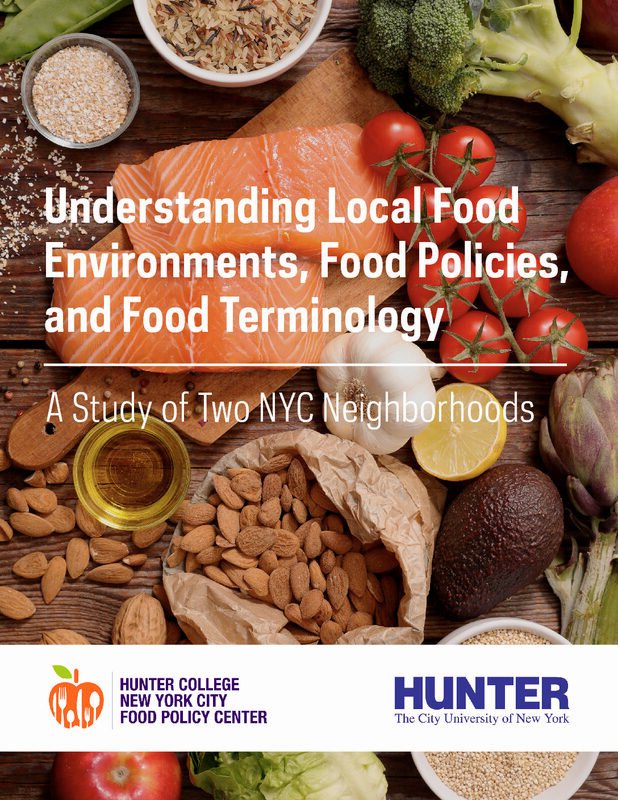 The views in our policy briefs are those of the New York City Food Policy Center at Hunter College and do not necessarily reflect the views of our partners, Hunter College or City University of New York.